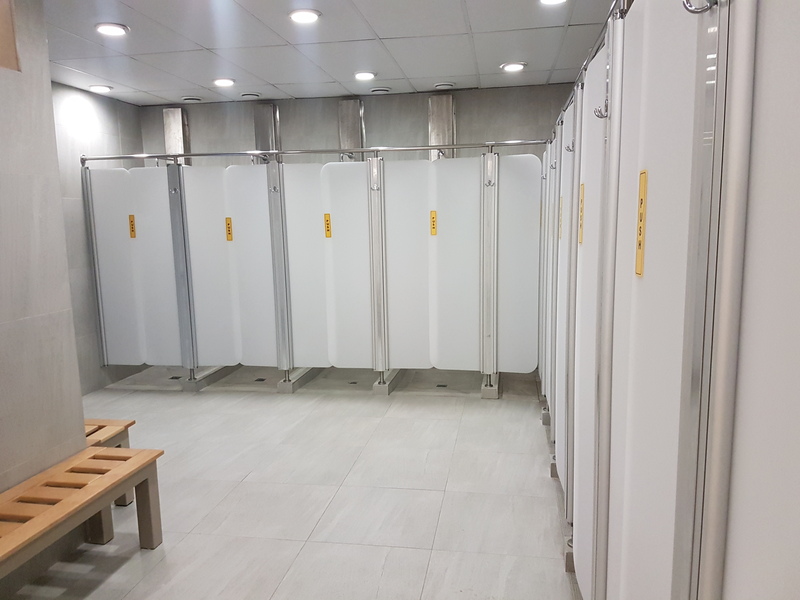 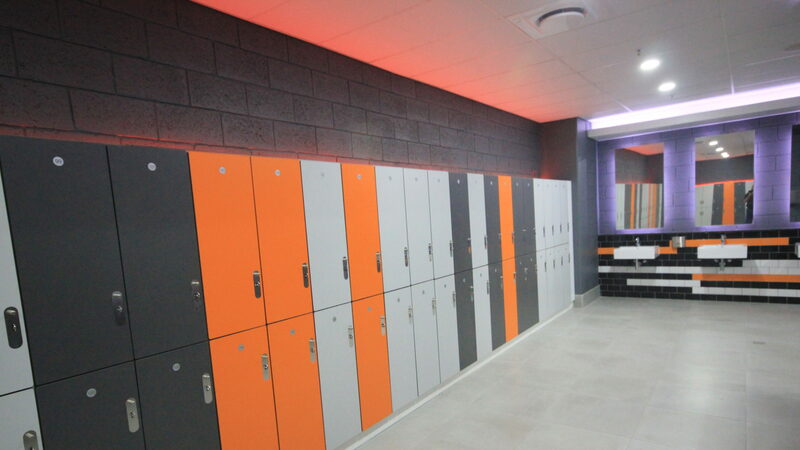 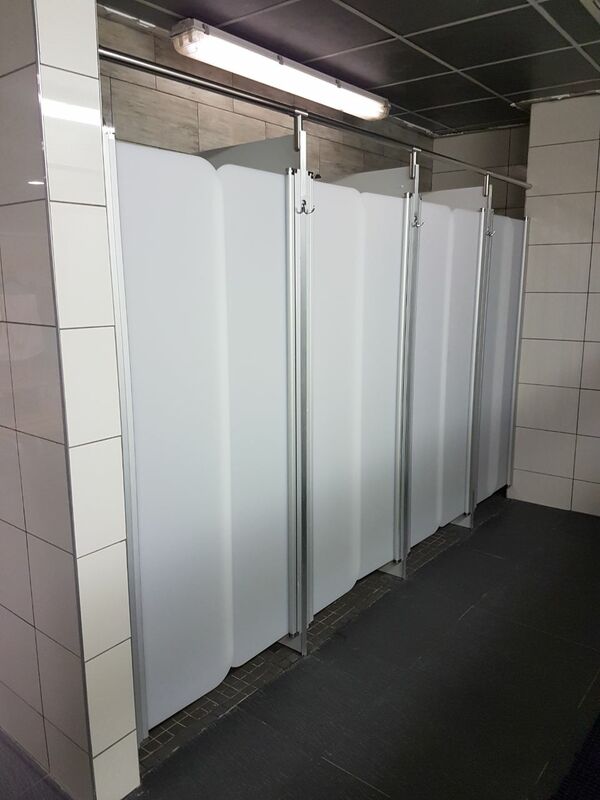 Cubicle Solutions offer shower cubicles using either 12mm Compact High Pressure Laminate or 12mm Cast Acrylic Perspex Partitions. 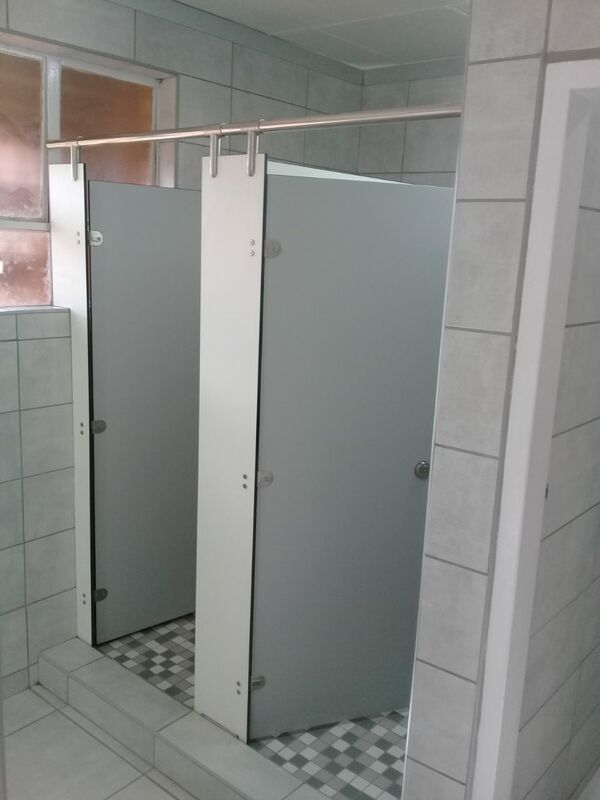 Both options offer a 100% water resistant, robust solution. 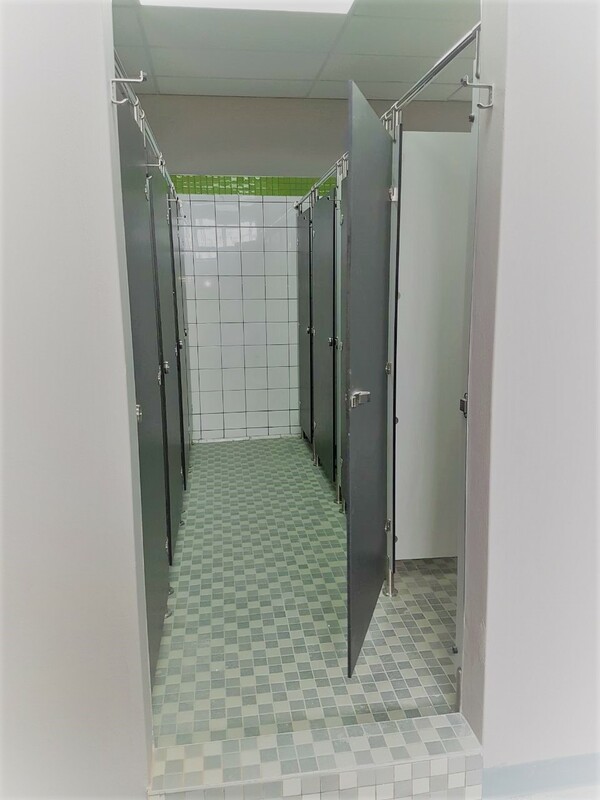 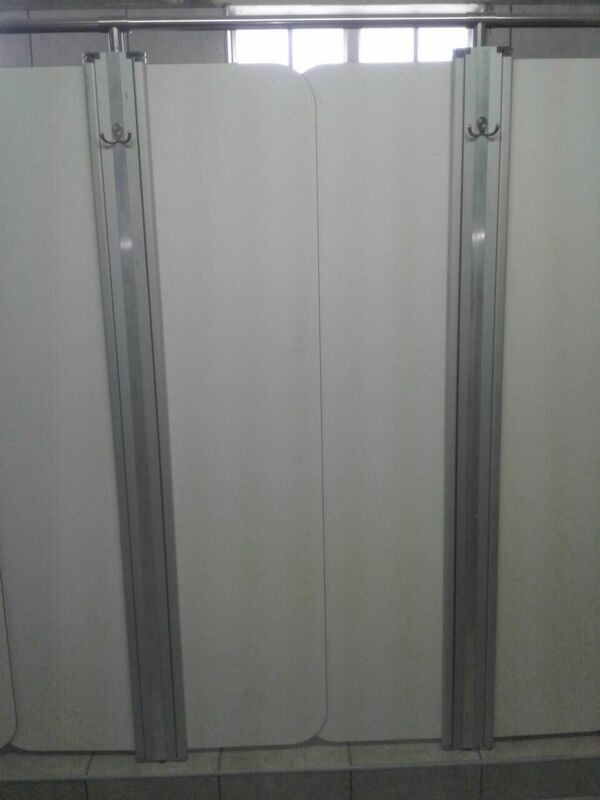 A saloon door system manufactured using either Cast Acrylic Perspex or Compact High Pressure Laminate fixed to our partitions using a unique extrusion. 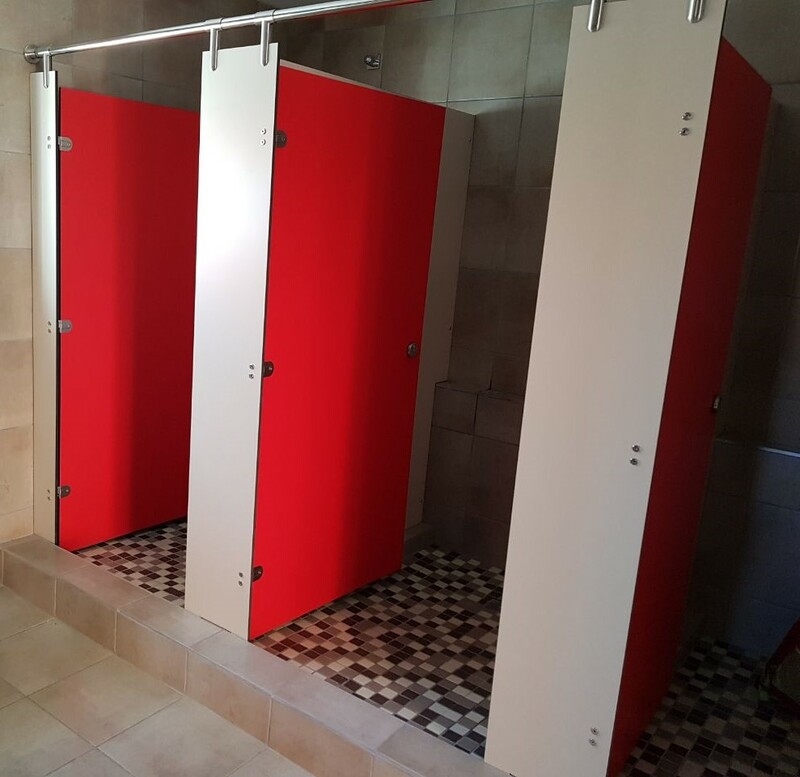 A modular frameless cubicle system with overhead rail and hanging clamps with adjustable supporting feet or fixed to existing brick walls. 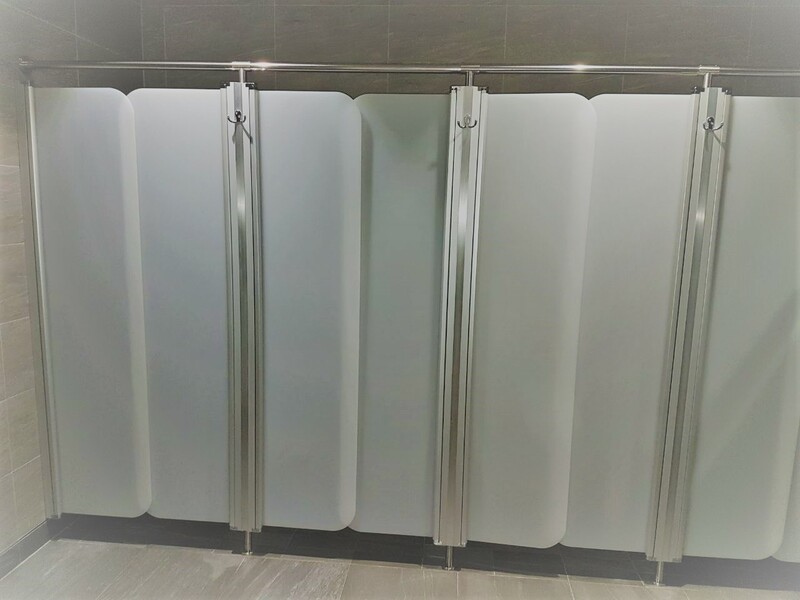 Our Shower Saloon Doors can be added to Compact High Pressure Laminate or Cast Acrylic Perspex shower cubicles where space is at a premium. 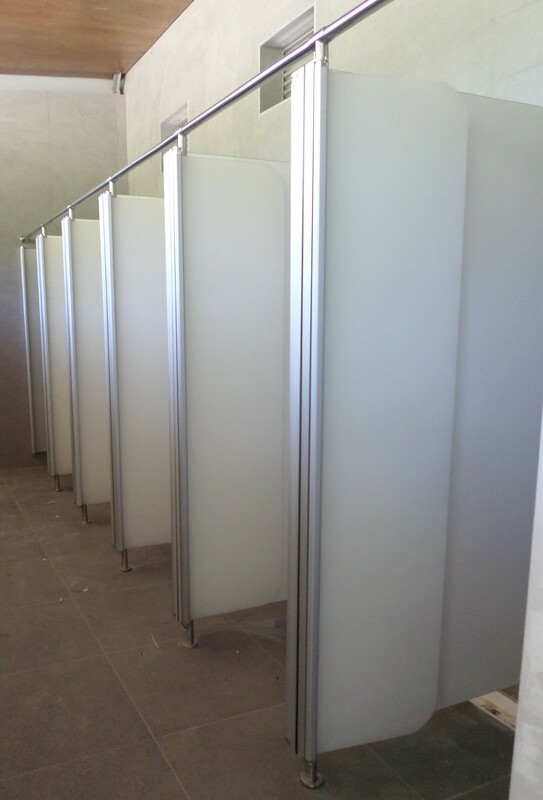 Manufactured using 6mm Cast Acrylic Perspex, they are fixed to an aluminium frame with a swing system. 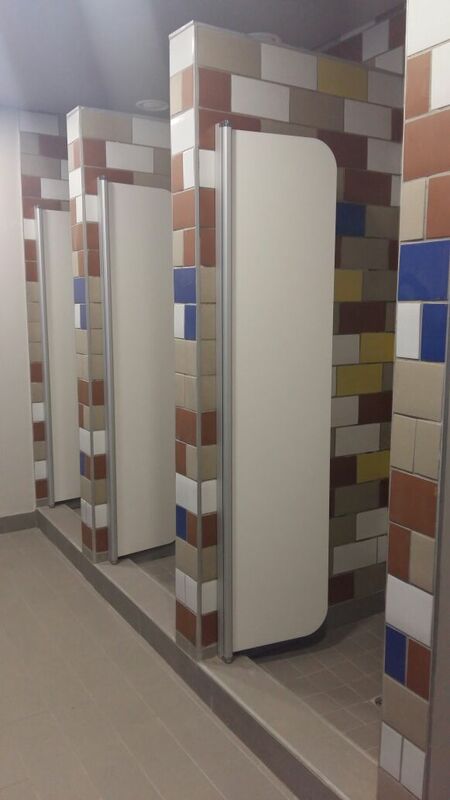 Shower Cubicles can co-ordinate with all other bathroom decorations and colour schemes.